HOUSTON, February 26, 2018	(Newswire.com) - ​​Small and marginal farmers from Asia, whose land holdings are below 2 hectares, produce almost 80 percent of the total food. So, it is indisputable that they are important for agricultural growth, food security and economic development in Asia. The situation is not very different across the rest of the developing world. Therefore, the future of sustainable agricultural growth and food security around the world depends on the performance of these small and marginal farmers. Unfortunately, most of these smallholder farmers depend on rain for their crop and are plagued by low productivity and inferior quality. They are locked out of higher paying markets because they lack access to quality seeds, fertilizers, training and capital. UN’s World Food Program (WFP) has argued that an innovative approach is desperately needed, because most developing countries are likely to become vulnerable to food shortage due to climate change and its toxic combination of rising temperatures, natural disasters, and erratic rainfall patterns. Over the past few years, Farm2Kitchen has developed a network of more than 100,000 small farmers across India. They provided these farmers training, mentoring and direct access to the market, thus providing them better value for their produce and improving their bottom line. They operate Organic Food stores as well as distribute food to processed food makers. Farm2Kitchen CEO Anand Dholi believes that the food value chain needs to transform from a production-driven system, to a demand-based one. In order to do so, the producers have to be connected directly to the consumers. This is a win-win for both, the producer and the consumer, because the consumer is also curious about where the food on his plate is coming from, whether it was responsibly grown, how it gets transported before reaching the point of sale, and the shelf life to ensure its safe for consumption. The only way to achieve these objectives is to build a hub that brings together all the players in the food value chain. 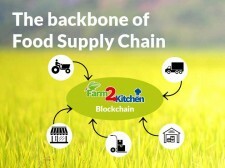 Farm2Kitchen is introducing Farm2K Blockchain platform. 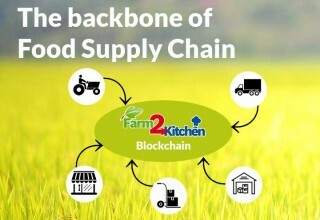 Farm2K is utilizing the Blockchain technology of distributed ledger and smart contracts to bring all the participants in the supply chain including the farmers, transporters, distributors, processed food brands, wholesalers, retail stores and other food outlets on a single hybrid platform. It is a secure and incorruptible infrastructure, as all actions are registered in a Blockchain. When it comes to Food safety, the industry works in a reactive mode rather than a proactive one. Therefore, if there is an issue with the food such as some infection, then the problem is not identified until people fall sick and get hospitalized. As per WHO, one in every 10 people worldwide suffer from food-borne diseases annually. 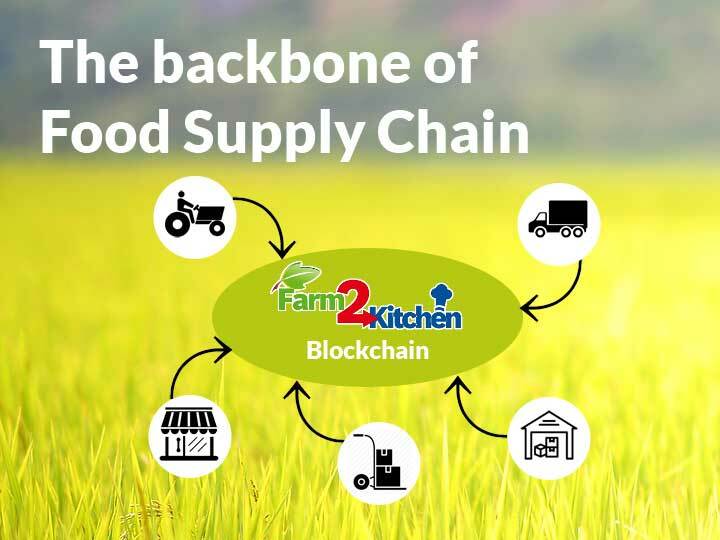 Farm2K will provide the ability to detect these problems early in the value chain and notify the concerned parties such as food stores so they can pull the affected batch of stock, off the shelves. According to the leading food experts, this is a huge benefit to overall food safety in the developing world. To learn more about the company, visit our official website http://farm2k.io or Join our Telegram t.me/farm2k for updates. 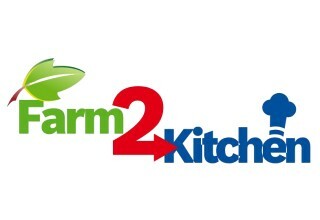 Follow us on Twitter @farm2kitchen or like our fan page on Facebook.com/farm2kitchen. Farm2Kitchen started because of personal need for responsibly grown “divine” food and has now grown to a successful business that has several retail locations across India and growing exponentially. We started out by delivering fresh vegetables and fruits to few local retailers in the suburb of New Delhi, India. The initial success encouraged us to look beyond one city and we expanded our operations in multiple cities across India. In 2017 we started expanding our operations across Asia by building partnerships with related organizations in Saudi Arabia, UAE (Dubai), Laos, Qatar, Oman, and Malaysia. Fram2Kitchen, a food traceability platform on Blockchain for the Food Service Delivery industry, is selected for the final round of Blockchain OSCAR hosted at the BlockShow annual conference in Las Vegas on August 20th and 21st.